like the very different Limited Editions by Mark Newson Hot news was the fact that an Atmos 561 “Mark Newson”, was customised by Apple’s designer Jonhatan Irve and Mark Newson himself, with some red accents . This is unfortunately a piece unique, especially created for a charity. 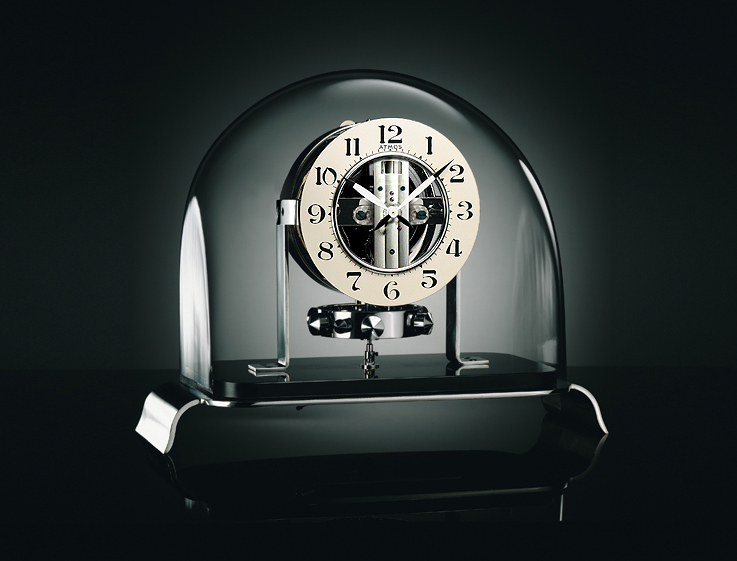 The clock will be auctioned by Sotheby’s in November. 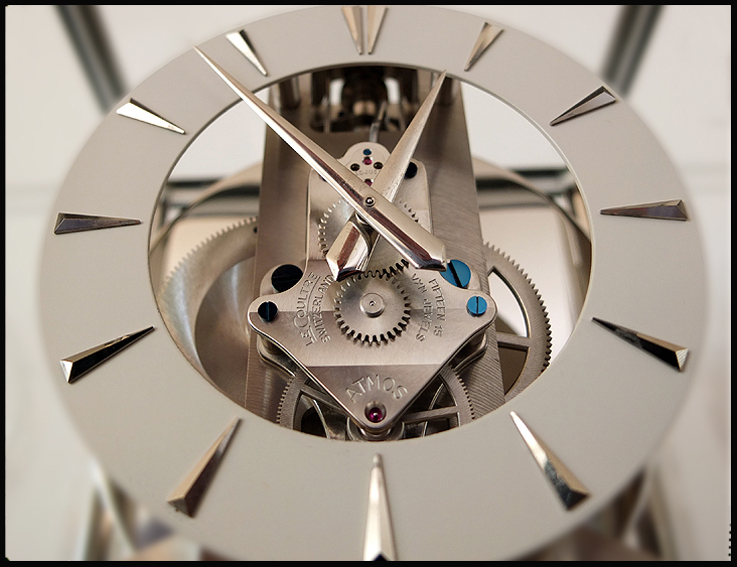 The creation by Hermes for Jaeger-LeCoultre is another example of an extra ordinary design, that shows what can be done with the more than 80 year old concept of the Atmos clock, when three companies collaborate. In this case Jaeger-LeCoultre, Hermes and Les Cristalleries de Saint-Louis glassmakers, (part of the Maison Hermès since 1989). The Hermes designers opted for the almost impossible, a balloon kinda design, produced in a limited edition of just 176 pieces. The crystal globe, that houses the JLC movement, is made using a special technique, which consists in coating layers of glass over each other, including a coloured one. In fact the glassblowing artists created an air blown, double layer glass dome cut, to create a perforated exterior. 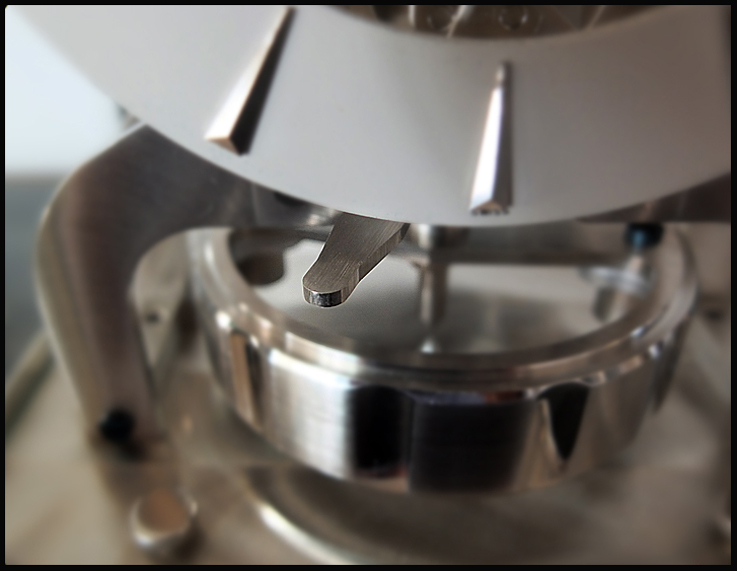 The result is an amazing looking shell that shows the Jaeger-LeCoultre 560a caliber. Just six master glassmakers, within ‘Les Cristalleries de Saint-Louis Glassmakers’ have the knowledge and experience, that is required to perform this complicated job. The decision to buy a new clock from an AD or JLC Boutique or a vintage Atmos, is probably different for everyone and depends so much on how one sees the history of the Atmos and if this is the main reason. Or incase it is just to have a good trouble free Atmos for the home or office, then a new Atmos is your best choice. 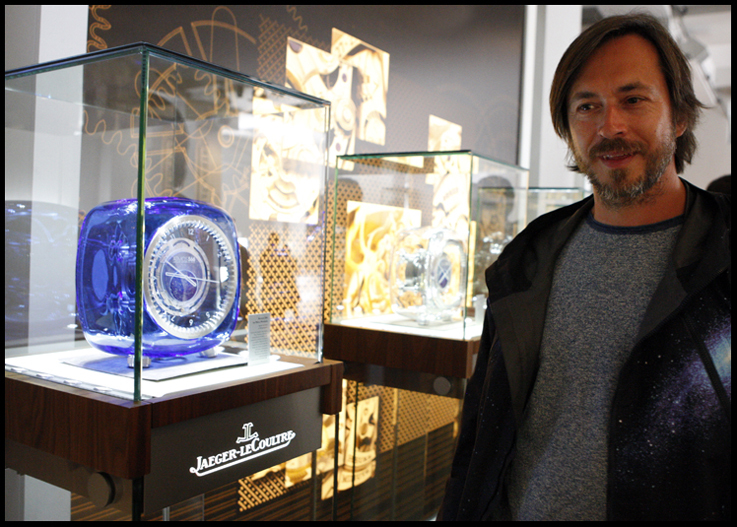 The AD or JLC Boutique will give all the details one needs to think about, when obtaining an Atmos. But when a clock is bought online from an auction house or whatsoever, one needs to think about the following. 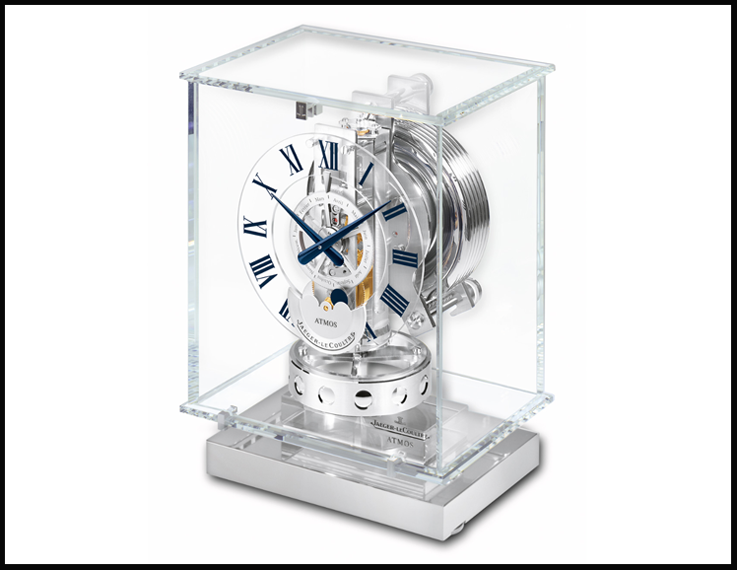 Every Atmos clock, new or vintage, needs to be locked before moving and should only be unlocked when the clock is finally placed, on a well balanced desk or table. The clocks can be put level with its own two knobs. 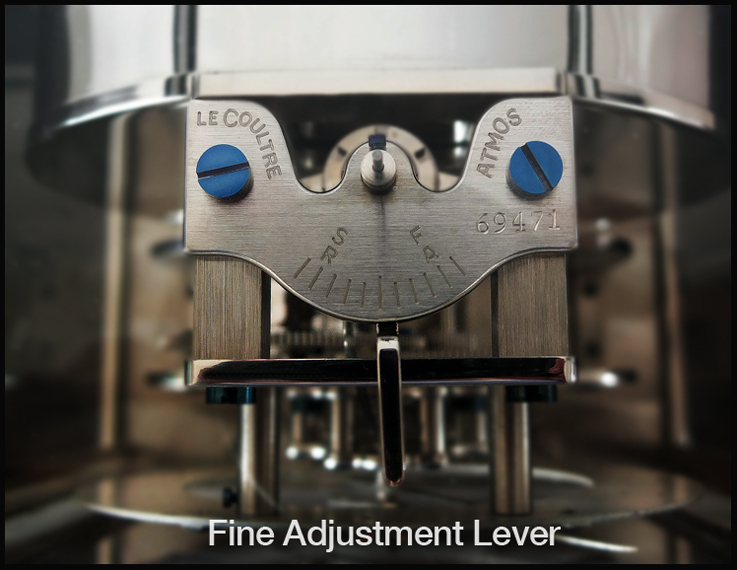 This locking procedure must be carried out when the balance wheel stops before oscillating back, in the opposite direction. When setting the time, it is safest to unlock the Atmos at the moment, when the time is, what the clock indicates, so the hands do not need to be touched. It is recommended to do it this way, but if the time needs to be set by hand, just turn the minute hand and only clockwise! Should the clock run a little too fast, it can easily be adjusted with the lever. However because of the current air pollution in our cities, it is necessary to have the clock checked and serviced regularly, by Jaeger-LeCoultre or a good clock maker. The following clocks can be found in the current collection of Jaeger-LeCoultre and are available through the JLC Boutiques and AD’s. 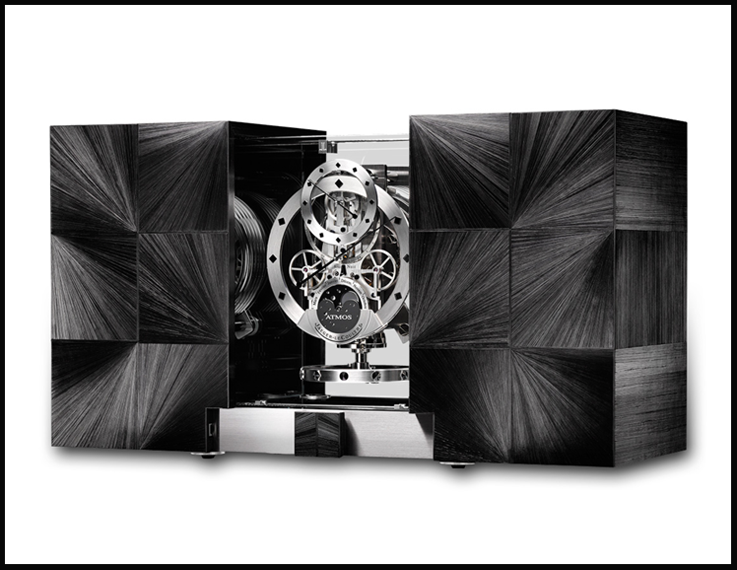 Atmos Classique, housed in its gold-plated or rhodium-plated cabinet. 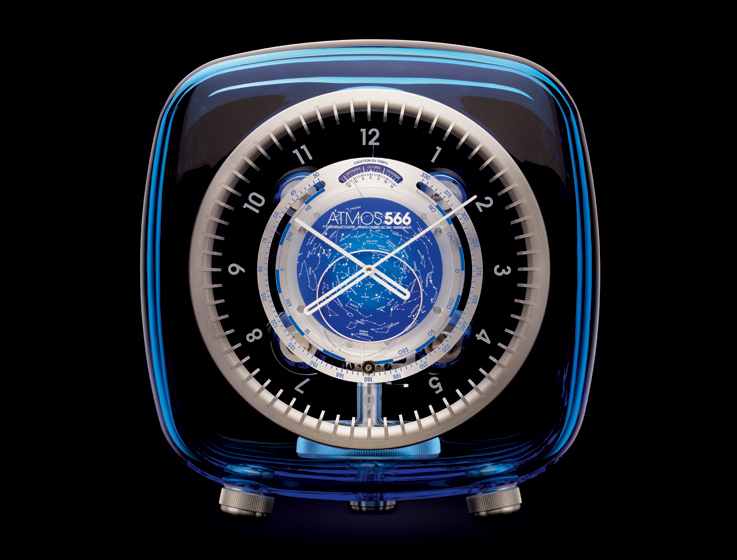 The Atmos Classique clock invites one to study its mechanism in order to grasp its secret. A version with Phase de Lune is available as well as a Rhodium plated one. Atmos Réédition 1930. The Atmos Réédition 1930 is a spirited homage to Jean-Léon Reutter and to the era which gave birth to his fabulous mechanism. While the design remains true to the original, the clock makers and designers at the Manufacture took care to imbue the movement, the Jaeger-LeCoultre Calibre 563 with a character of its own as befits such a technically advanced piece. 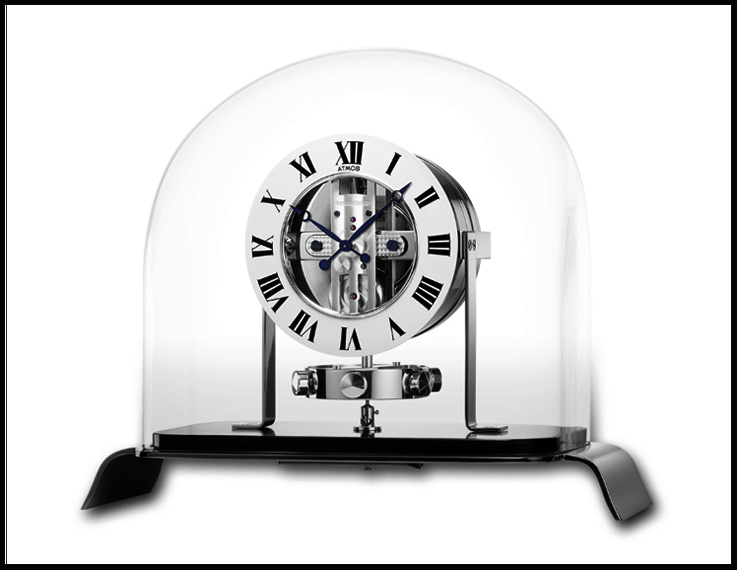 Atmos Réédition 1934. 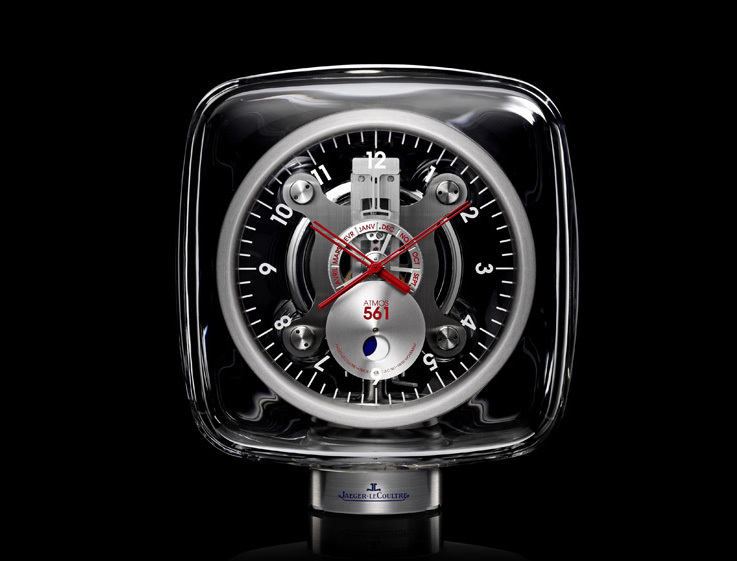 Inspired by a historical piece dating from 1934 and housed in the Jaeger-LeCoultre Heritage Gallery, this Atmos pays homage to the creators of this clock and its unique operation that derives its energy from the changes in the ambient temperature, thereby ensuring virtually perpetual operation. 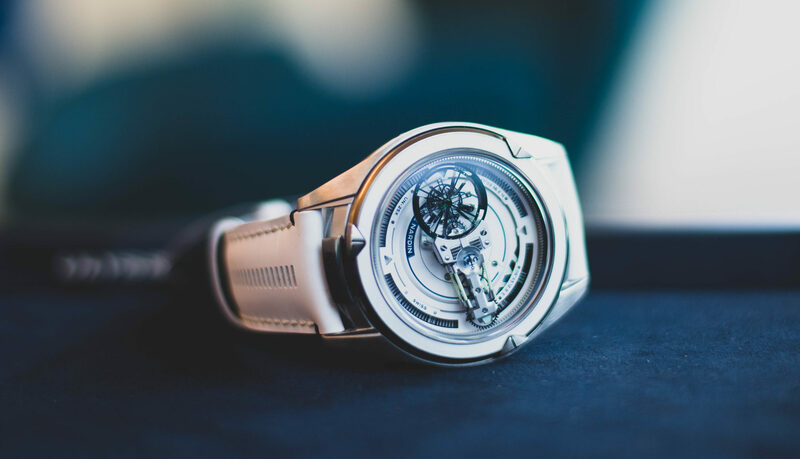 Series limited to 300 timepieces. Atmos Classique Transparente Phases de lune, ref. 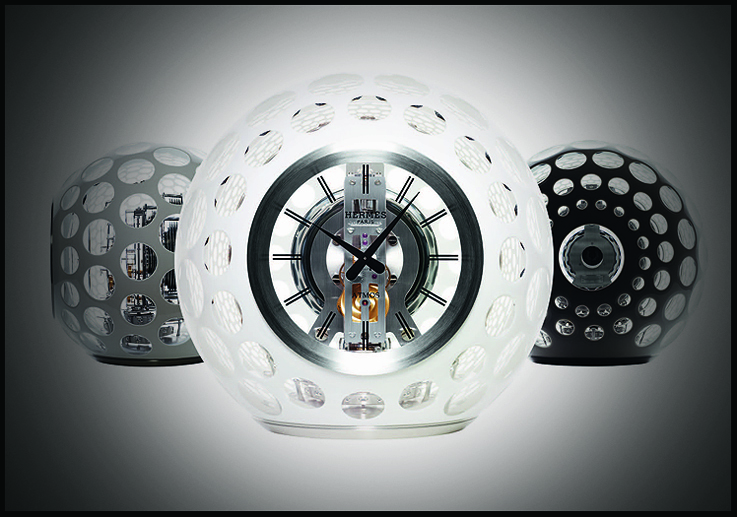 5145201, Bathed in light, the clock invites one to contemplate the phases of the moon. Its indication is so accurate that it will register a difference of only one day in every 3, 821 years. Also available without the Moon Phase. Atmos Marqueterie Paille. This exceptional creation, composed of genuine coloured straw, magnificently highlights the meticulous work of the marquetry craftsmanship while steadily marking off the hours, minutes, months and moon phases. 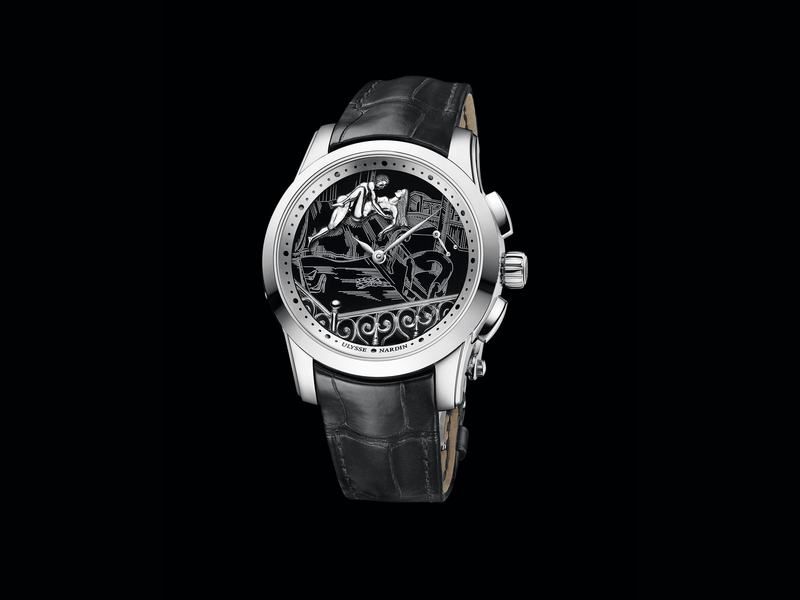 Mechanical almost perpetual movement, Jaeger-LeCoultre Calibre 582. 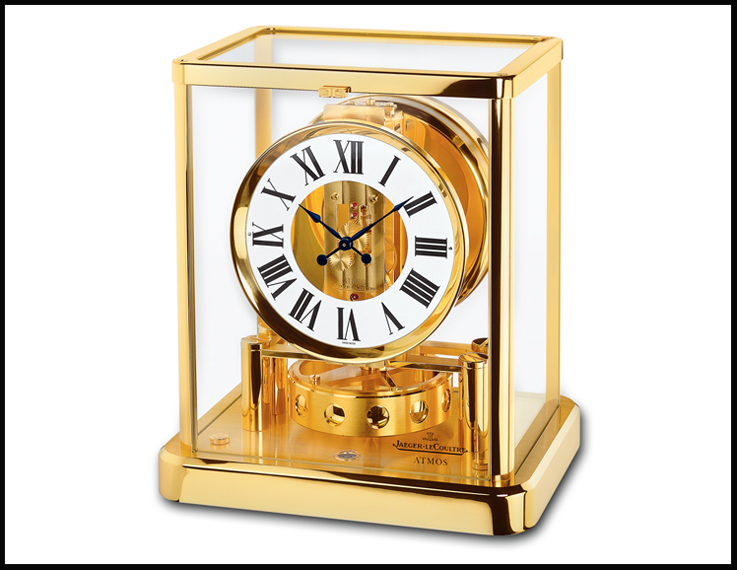 The Atmos clock by Jaeger-LeCoultre is a legendary clock and since it is, thé clock in the world of watch collectors and connoisseurs, it is a pity that there is not, a great ‘coffee table’ book available, with the history of the clock and an overview of the various models, throughout the years. For a short time there was a superb little book available: ‘LIVING ON AIR’- History Of The Atmos Clock by Jean Lebet. But I have not been able to get hold of one, since it is nowhere available anymore. If our friends at Jaeger-LeCoultre could turn thát book into an updated re-print, many Atmos admires will be more than pleased.